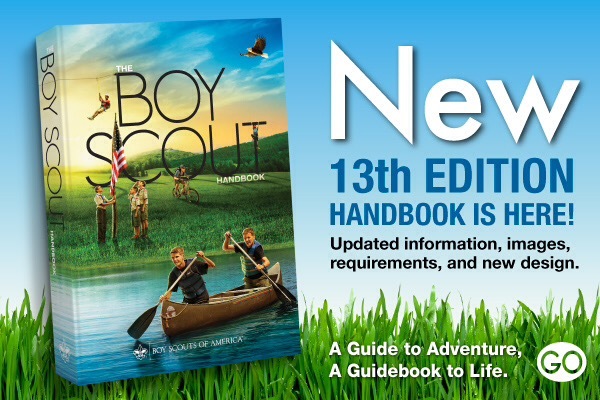 The new scout handbook (2016 ed.) has finally been released. Take a look at it here. This entry was posted in Boy Scout, News. In the near future, BSA will roll out the Online Application for Youth and Adults. They have already posted videos to YouTube to explain the process. Below is the first video, an overview of the system. It will use my.scouting.org. It is important that your Unit Key 3 have access to my.scouting.org. 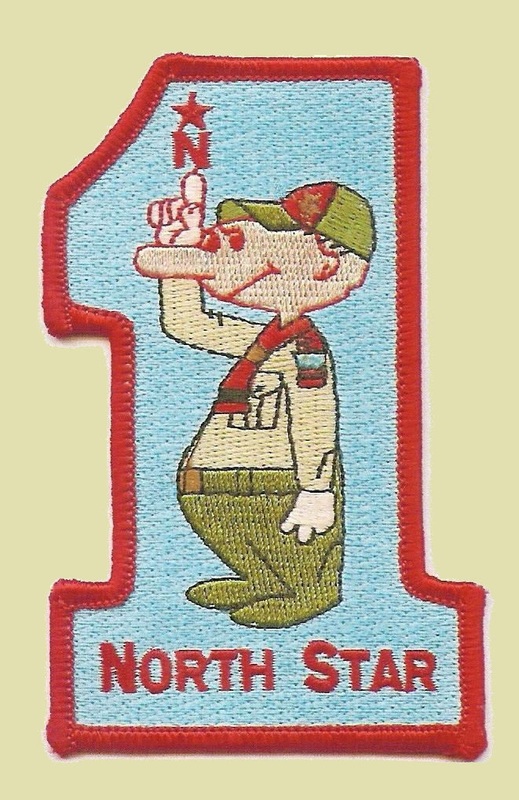 The unit leader (e.g., Scoutmaster, Cubmaster, Venturing Advisor, etc.) approve youth applications. The unit committee chair and chartered organization representatives must approve all adults. This approval process is all electronic. More videos about using this new system are available at the Scouting Multi-Media YouTube Channel. Please note that the system collects only national dues and Boy’s Life subscription fees. This is a capability and not required. This means that you will have to verify that BSA has received these funds through the system. If it remains due and payable, you will have to collect it from the new member and pay to council before the application can be processed by BSA. Your unit will be solely responsible for billing and collecting your unit dues and Crossroads of America Council’s insurance premium of $1.00 per member. This entry was posted in Membership, National Council, News. The following scouts passed their Eagle BOR on Wednesday, January 13th, 2016. This will be their date-of-rank but it is not official until their Eagle award and documents are received from National. This will take two to four weeks. Congratulations to these Eagles, their families, and their troops! as some of their Scouts had come from Pack 625. In true Scoutsmanlike manner, 2 more Scouts came to our aid. While Sean Montano called out the orders, the 2 boys from Pack 625 and the 2 boy scouts proudly and adeptly presented the colors. The school was very appreciative and said the Tribute to the Veterans would not be complete without it. Since 2015 was a reorganizational year for our district and the unofficial website debuted its district-wide announcements part way through the year, we had some of our new Eagle Scouts not receive the recognition that they so richly deserve. District Eagle Board Coordinator Jerry Simon has provided us with a list of the Scouts who earned their Eagles this past year. They are listed below. Troop 358 at St Alphonsius Catholic Church in Zionsville had 12 Eagle Scouts. Troop 514 at St Monica’s Catholic Church in Pike Township suffered a fire at their church but still mustered 7 Eagle Scouts. Troop 804 at the American Legion Post in Zionsville had 5 Eagle Scouts. Troop 269 at St Andrew’s Presbyterian Church on the south end of Pike Township had 5 Eagle Scouts. Troop 191 at Church at the Crossing had 4 Eagle Scouts. Troop 174 at Immaculate Heart of Mary Catholic had 4 Eagle Scouts. Troop 56 at St Luke’s United Methodist Church had 4 Eagle Scouts. Troop 73 at St Paul’s Episcopal Church had 3 Eagle Scouts. Troop 343 sponsored by Pike Township Fire Department and meeting at Bethel United Methodist Church had 2 Eagle Scouts. Troop 69 at Trader’s Point Christian Church had 2 Eagle Scouts. Troop 586 at the Zionsville LDS Meeting House had 1 Eagle Scout. Troop 35 at St Joan of Arc Catholic Church had 1 Eagle Scout. Troop 18 at Second Presbyterian Church had 1 Eagle Scout. This means that of our 13 active troops in the district, each and every one of them had an Eagle Scout this past year. That speaks very highly of the quality of scouting across our district. We have no district records to easily assess the past history of Eagle Scouts, but based on Jerry’s recollection, this has been a record breaking year. Customarily, Jerry schedules about 35 Eagle boards per year. Current trends suggest that the pace is not backing off any time soon. Thank you to the scouters whose mentoring helped these scouts reach the Eagle rank. Congratulations to the new Eagle Scouts and their families. May they see many Eagle Palms in the next several years. This entry was posted in Advancement, Boy Scout, Eagle Boards of Review, News. For our chartered organization representatives, we are entering the busiest season of the year, where your services are most uniquely needed for Boy Scouts. First, the district elections for 2016 officers will take place at our regular December committee meeting on Thursday, December 17, 2015 at 7 PM in Brandt’s Lounge on the first floor of Luke’s Lodge at St. Luke’s United Methodist Church, 100 W. 86th street, Indianapolis, IN 46260. The Lodge is the outbuilding on the northeast corner of the church’s campus. Second, the council elections will take place at the annual meeting for Crossroads of America Council at the Belzer Activity Center on Camp Belzer’s campus, 6102 Boy Scout Rd., Indianapolis, IN 46226. The meeting begins at 5:15 PM. It is exceedingly important that your chartered organization representative be in attendance at both of these elections. At the December meeting, you will be voting for the officers of our district for the coming calendar year. The District Chair, elected at the District Election, has the duty to represent our district to council for quarterly executive board meetings in 2016 and will be our official vote there. In addition, we elect the chair’s cabinet for 2016. If anybody has nominations for any of these positions, they need to be directed to our nominating committee chaired by Scott Claybaugh. The nominating committee is on track to announce the slate of District Chair and Vice-Chairs shortly before Thanksgiving. The nominating committee expects additional positions to be slated in early December. At the January meeting, you will be voting on the council’s officers for the coming year. In addition, any resolutions for bylaw amendments or policies to be addressed pursuant to the bylaws will be voted on, too. Eligible voters should have received a letter inviting them to attend via US Mail this past week. See that written correspondence for further details and deadlines for nominations and resolutions to place on the ballot. It is too early to provide any guidance regarding what else is going to be on the agenda for either meeting. Monitor this website for information as it becomes available. In the meantime, cubmasters, scoutmasters, and committee chairs should be contacting their chartered organization representatives to confirm that the chartered organization representatives have these dates on their personal calendars. This entry was posted in Crossroads of America Council, District Committee, News, Nominating Committee. The following scouts passed their BOR on November 11th. They will not officially be Eagle Scouts until certified by National but, once that happens, their date-of-rank will be November 11, 2015. Congratulations to these scouts on completing their obligations for the Eagle Scout rank! We look forward to the good news of National’s confirmation. UPDATE 11-13-15 at 10:00 AM: new tables inserted below. Thank you to the units that have now turned in their rechartering applications. (Pack 625 is intentionally omitted from this report.) This report is as of 9:00 AM on Friday, November 13, 2015 from DE Con Sullivan. (If your unit has turned in documents at the Registrar’s office in the final hours of Thursday, the paperwork may not have made through office mail to Con’s desk yet. I am pleased to announce every single unit who is rechartering has logged into the system and reviewed their roster. That is an important step to completing the process. This entry was posted in News, Rechartering.